The ALM-ALT DC power supply range is used in different types of applications to supply a stabilised and filtered DC current. It can be used to generate a 28Vdc on-board network for aerospace applications, for engine start up requirements, to carry out maintenance or to power test benches. In marine applications, this power supply range is used to create on-board emergency networks to power automats and communication equipment. This type of power supply is often used for rail applications in the maintenance work shop to supply the locomotives and carriages. 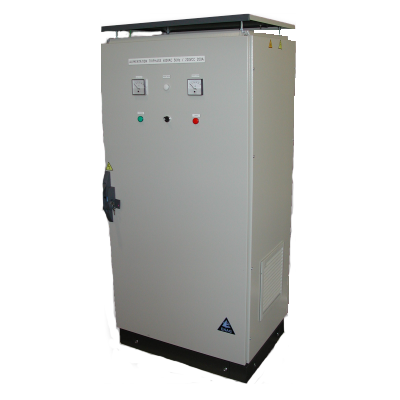 Used to create stable low voltage local networks the ALM-ALT power supply range is widely used in the industrial sector.